As mentioned in the article Driver’s License Points, there are two separate point systems that are equally important to understand for North Carolina drivers charged with a speeding offense or traffic violation. This article will address the second of these point systems, insurance points. The North Carolina Department of Insurance regulates how much an auto insurance company can charge for auto insurance. This is primarily done through the North Carolina Safe Driver Incentive Plan (SDIP), which was created by state law (See N.C.G.S. 58-36-65 and N.C.G.S. 58-36-75) to give drivers a financial incentive to practice safe driving habits. Similar to accumulating driver’s license points, a driver may also accumulate points under the SDIP based on convictions of traffic violations and at-fault accidents. As seen in the chart below, drivers who accumulate points will see a substantial increase in their insurance rate. Unlike driver’s license points, if a driver is convicted of more than one traffic violation arising from the same incident, they may receive SDIP points for each violation. SDIP points are charged as follows for convictions of the mentioned traffic violations. Note: Experience Period = Three-year period preceding either the date an individual applies for coverage or the insurance company prepares to renew an existing policy. 2. An isolated Prayer for Judgement Continued (PJC) during the experience period. In the event an insured is at fault in an accident and is convicted of a moving traffic violation in connection with the accident, only the higher total of points between the accident and the conviction shall be assessed on the policy. SDIP points are charged as follows for at-fault accidents. At-fault accident resulting in bodily injury (to all persons) of $1,800 or less; OR resulting in property damage (including damage to insured’s own property) of $1,800 or less. No Insurance Points will apply for bodily injury if medical costs were incurred solely for diagnostic purposes. The chart below demonstrates the increase in insurance premiums when a driver is charged with the corresponding SDIP points. From reading this article it should be clear that insurance points in North Carolina are complicated. Not only are the point systems complex, they can also be extremely costly to you if your violation is handled incorrectly. 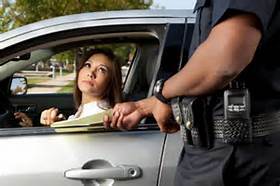 Don’t make a mistake in how you handle your speeding ticket or other traffic violation. Contact Todd Browning or Howard Long at Browning & Long, PLLC, two attorneys who are experienced in handling speeding tickets and other traffic violations. Follow the link below to get Browning & Long on your side immediately.